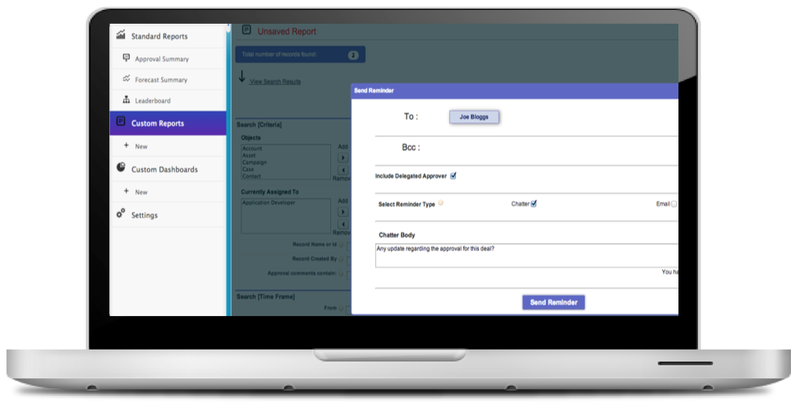 Approval Reminder allow end-users to follow up on records that are pending, by sending reminders to the approver to request updates. Reminders can be automated or triggered manually. ✔ Salesforce Chatter notification supported. ✔ Email reminder notification supported.